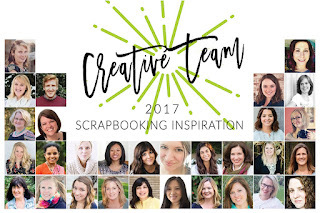 I am so excited for my scrapping to begin in 2017. I am over the moon excited about 2 big announcements that I get to officially make today! First I am joining Becky Higgin's Digital Project Life Creative Team!!!! Yes you heard right - my long time idol Becky...one of my first inspirations in scrapping! Although her style has changed since her original days at Creating Keepsakes mine has changed too! I love the Project Life system for documenting the everyday happenings in my life. I have been religiously documenting since Dec 2011 - 5 whole years... that is crazy!! So much has changed in my life since then but I have all those things documented for me to remember - and maybe future generations too!! I am so excited to see how my style progresses in 2017 and the inspiration I will garner from this terrific group! As I mentioned above my style has changed since I first started scrapping back in 1997 (yes that is almost 20 years now........). A few years ago I made the transition to digital scrapping. I have talked about some of my reasons before. I was instantly drawn to certain designers when I made that transition - but always at the top of my list was Just Jaimee from The Lilypad - there was something about her quirky fun and colorful designs that just blew me away with every.single.kit. I stalked her every release (and bought most of them) - I love the work that her CT puts together every month - and now I will get to be part of that team too!!! 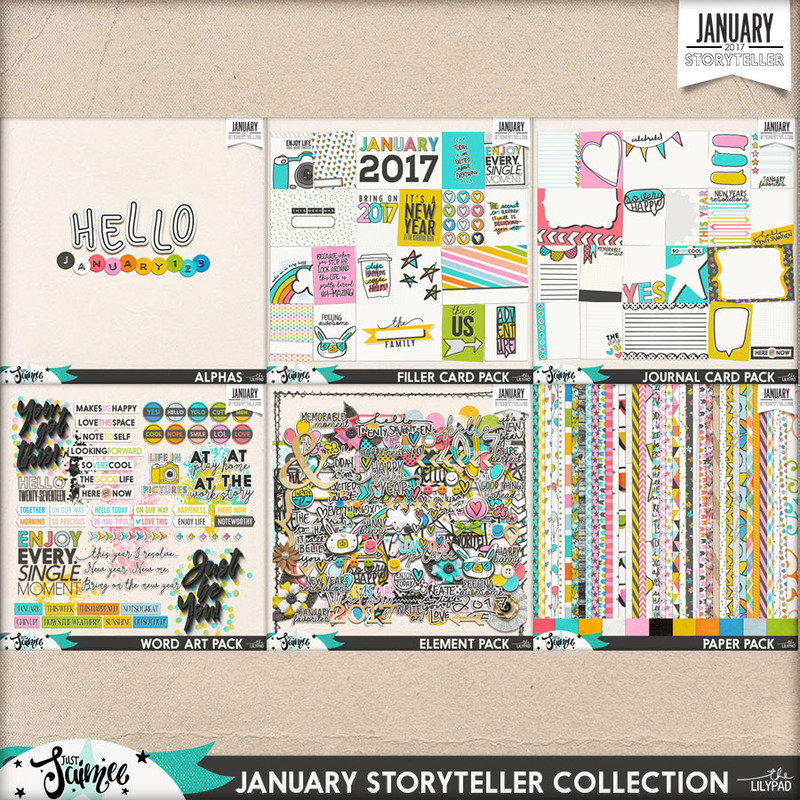 Here is her latest entry - the January Storyteller Kit, isn't it beautiful?? I can't believe I will get to work with 2 of my favorites in one year!! 2017 is looking up already! Since I will be busy scrapping a lot in 2017 (don't worry I have lots of older photos that can use some attention too!!) it will allow me to work on another one of my 2017 goals to improve my photography. I have lots to document in 2017 and I can't wait to get started! I will be a much more regular presence here on the blog and of course on Facebook and Instagram. Hope you ring in the New Year filled with hope and enthusiasm - thanks for coming along!